Every year Niagara's highly trained professional paramedics respond to calls involving the Niagara Escarpment and the Niagara Gorge. Many times these unforeseen accidents are met with difficulty when trying to provide patient care and rapid extrication from the gorge. 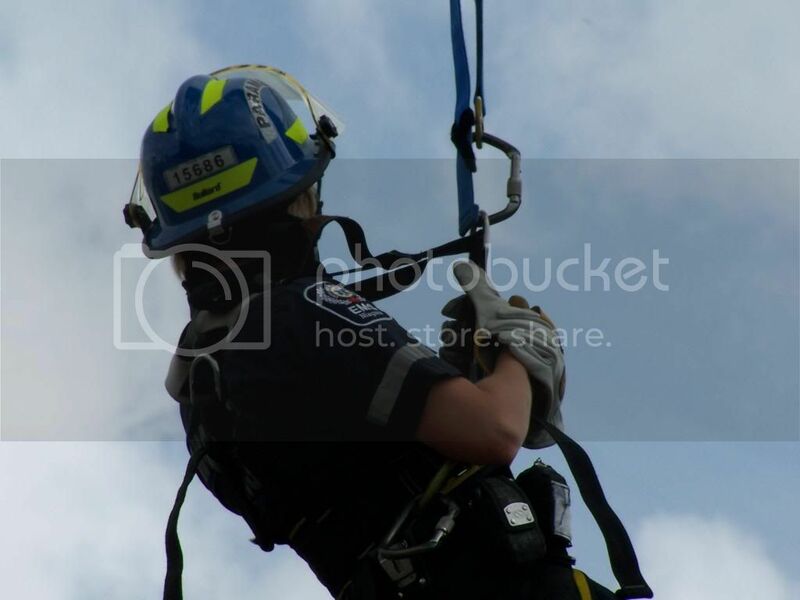 Working with our community partners at the Fire Department, Niagara's Paramedics received specialty training to enable one paramedic to be lowered into these difficult to reach areas along Niagara's beautiful escarpment in Niagara Falls. Paramedics trained in Skyhook Response can be tethered to a Fire Fighter, in an effort to get advanced medical assistance to patients who have suffered an emergency in the gorge. The Bike Medic Program started in 2000. The Niagara Paramedic Association purchasing bikes which were initially used for special events, e.g. Friendship festival (concerts), Canal Days (Port Colborne), Marathons (Casino Niagara Marathon), Parades (St.Catharines), walks (Rankin Cancer Run) and bike races. In 2002 the Bike Medic program became a permanent addition to the Paramedic response in Niagara Falls in the tourist district due to high volume of calls. The bikes were able to get to the scene quicker then the ambulance because the Bike Medics were able to get through high volume of vehicles and pedestrian traffic easier. The full time Bike Medics start their season on May Long weekend and work 7 days a week until Labour Day. 2 Primary Care Bike Paramedic's. working 12 hour shifts from 11am-11pm. We have Norco and Rock Mountain mountain bikes which we have outfited with proper lights, and pannier bags. We carry all the equipment to provide high quality advanced patient care within the PCP scope of practice. They carry a defibrillator, Spo2, suction, symptom relief, oxygen/ airways, trauma/ first aide supplies, PFD's and glucometer which is split between the 2 bikes. They are able to ride in rain, on the road and on trails if need be. When the Bike Medic's are patrolling their area, they go beyond their emergency response role and become a tour guide, information guru, local historian, photographers or models, and most of all are excellent ambassadors of the paramedic profession to millions of tourists from around the world. We work very closely with the Niagara Parks Police assisting at times with missing people and crowd control. The Niagara Bike Medics promote helmet safety in conjunction with The Niagara Brain Injury Association of Niagara by supporting the "We caught you using your head" program, recognizing kids that are wearing their helmet! Niagara's highly trained CBRNE medics are an integral part of the CBRNE response team here in Niagara. All CBRNE trained paramedics are ready for any response within Niagara's boarders involving chemical, biological, radiological, nuclear or explosive incidents. Niagara's seamless response commitment allows for the response of a CBRNE trained Paramedic to virtually all CBRNE incidents. These highly trained specialist in their field are capable of dawning Level A, Level B and Level C response Personal Protective Equipment and have been certified and trained in SCBA. All CBRNE trained Paramedics have received extensive training with our community partners in the 12 municipal Fire Departments. 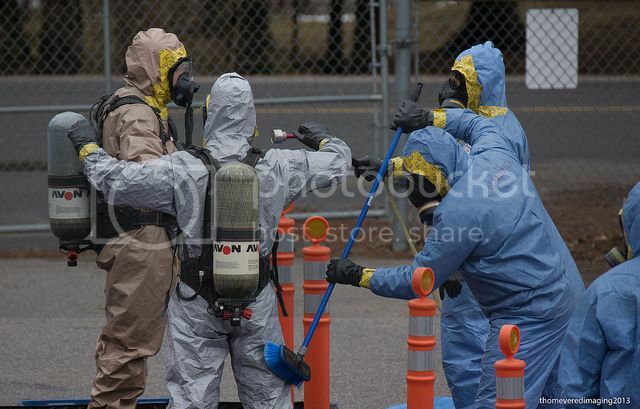 They have trained in recovery, extraction, decon and medical evaluation. All CBRNE trained paramedics have received the training to take on any role within a CBRNE response from Incident Command to Logistics, and have been trained at the technician level. In Niagara we believe in the concept of Unified Command integrating EMS, Fire and Police services into one collaborative command structure. he Gator Response Unit is able to be deployed when difficult terrain makes accessing a person difficult. There are many geographic area's in the Niagara Region that require this specialized response to safely extract an injured hiker, skier, or outdoor enthusiast to a point of safety. At this time, the Paramedics are able to provide the advanced assessment and treatment required.